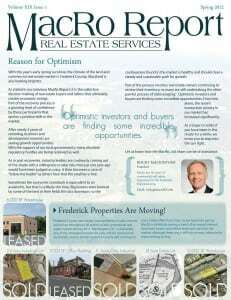 With spring sunshine comes a climate of land and commercial real estate that is looking brighter. As stated in our previous MacRo Report, it is the collective decision of real estate buyers and sellers that ultimately creates economic swings. After nearly 5 years of retooling, business and development interests are seeing growth opportunities. The land market in Frederick County is showing signs of increased activity this spring, as many land owners finally determine they are unwilling or unable to wait out the recession. The Manor at Holly Hills Website has Launched! 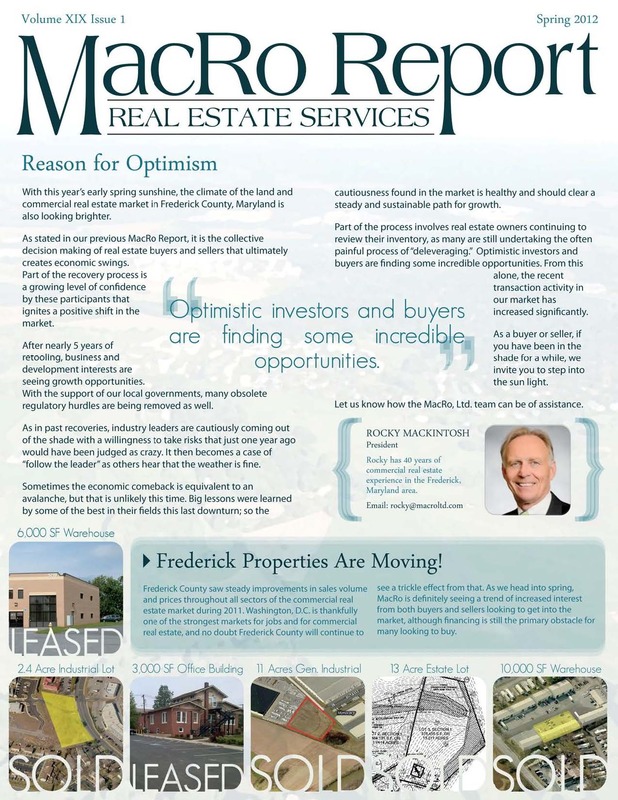 As a listing broker for the Manor at Holly Hills, a future luxury residential community of 21 estate lots east of Frederick City, MacRo has developed an informational website for this project.